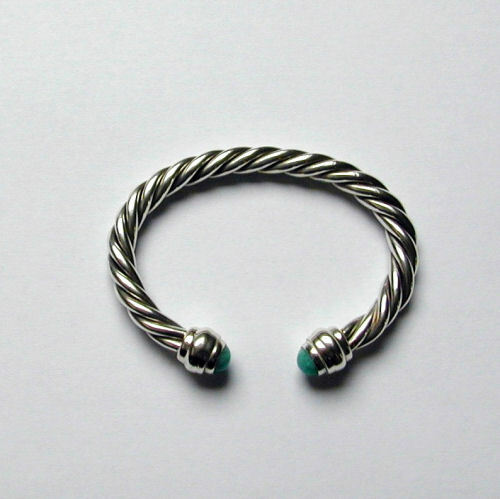 We have a wide selection of celtic Torc Bangles. The torcs are made from twisted silver wire with cast terminal pieces. They are springy as they are work hardened. The gap size is usually 50mm to 70mm but can be adjusted to the wearers preference. Really good looking and well made,I've worn it every day for nearly a year now.If anything looks better now than when I first put it on!